Back to school sales started today at most office supply stores. I didn't really see much I liked in the Office Depot ad so I just stuck with Office Max and Target. I may go to Staples tomorrow, but there wasn't too much I found intriguing there either. I'm hoping the ads will get better as it gets closer for school to start. My Office Max trip went great. I brought my mom with me so I could get double the limit. 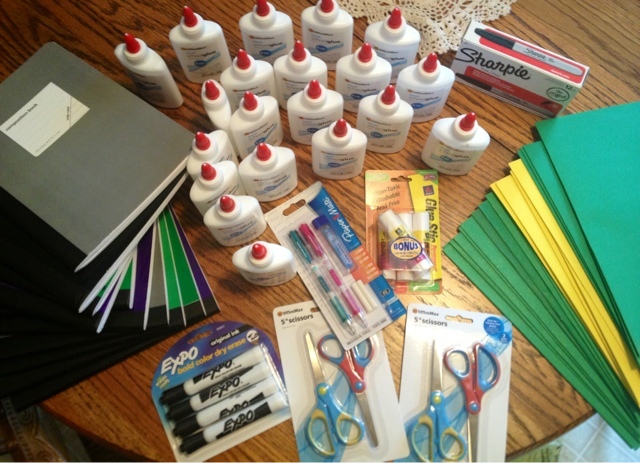 The total for everything in the picture below was $12.16! Also, just as a warning the guy at Office Max was trying to say that their had been a misprint in the sales ad, and now there was a limit of 2 for the glue bottles. He still allowed me to get 10 since my sales ad said limit 10, but I don't know if all stores will be as kind. 20 bottles of glue, 20 file folders, 10 composition notebooks, 4 pairs of scissors, paper mate led pencil starter kit, 12 pk of fine point sharpies, 4 pk of gluesticks and 4 pk of expo markers. My next stop was to the dollar spot at Target. They had several racks of items marked 70% off! Each item I bought below was only 30 cents! I bought a couple of books for my non-fiction section and some awesome Let's Cook pads. 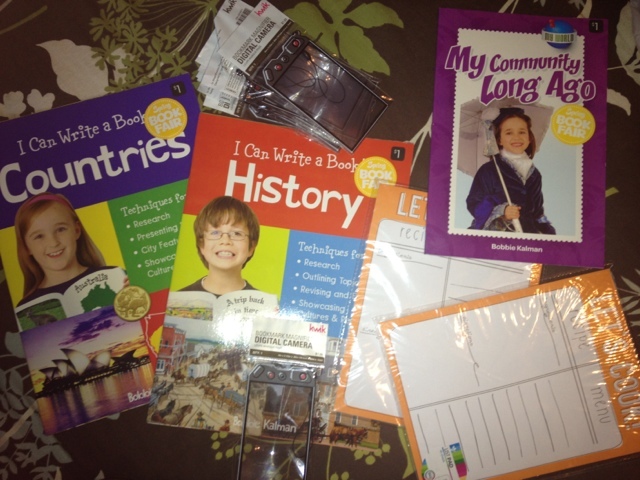 I plan on using the note pads as a fun way for my students to practice writing informational text/how-to's. My favorite find at Target were these little bookmarks. They are in the shape of a digital camera and are magnifiers. I thought these would be great bookmarks to keep by my classroom library for students to use. 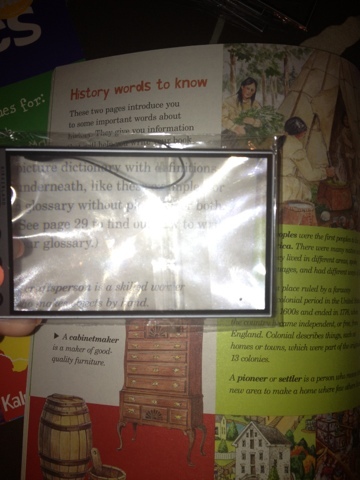 I especially like them for EC students who may want to chunk smaller pieces of text to read. After Target, I went to Michael's to buy some craft materials to use this week. I will share that in another post though. 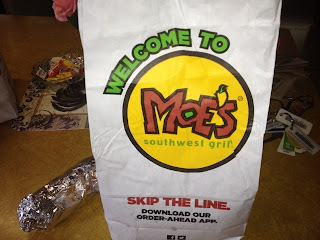 To end the shopping adventure I stopped at Moe's to get some dinner. 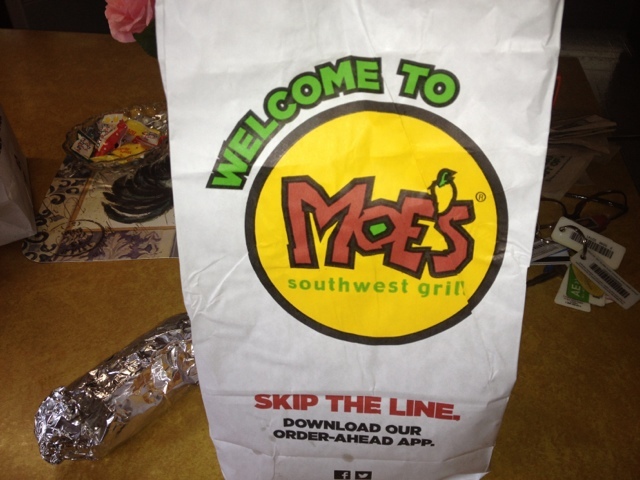 Nothing like a Joey Jr and some queso dip to end the day. Good luck to everyone else on their back to school shopping adventures! I'm linking this post up to the "Show Us Your Stuff" linky party. It is all about showing the piles of stuff you have bought or are making for your classroom. Did I really need 20 more folders on top of all that I bought for my class last year? No, probably not but for 1 cent how could I not buy them! I'm sure I would have many more piles of items if they weren't already at school. Right now most of my piles are in lockers or boxes outside my classroom. 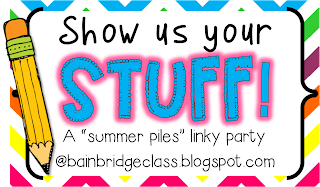 Click the button below to join in the on the linky party and show us your piles of stuff!